Rich Caringi makes his Solo Flight Today! After only a little more than two months, Rich Caringi flew his Carbon Cub for his solo flight today! … and… check it out! … His Cub looks only a little worse for wear! I tried to manipulate that picture to enhance the apparent damage… and there is almost none! 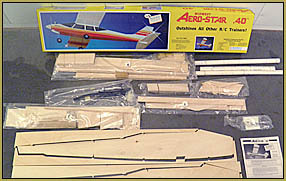 Rich says he started his RC airplane hobby back in the 90’s when he spent nine months (off and on) building a Midwest Aero-Star 40… which he crashed on its second flight. 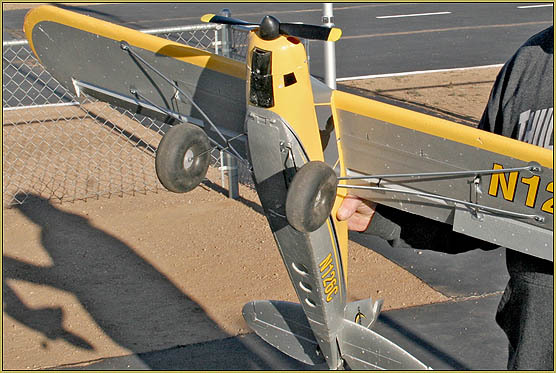 … Then he spent another seven months making repairs… I think he said he crashed it, again… and then, after letting it sit for years, he donated it to a local model airplane club. … THEN… this summer, he and his wife were driving Rt. 66 and saw the smoke-trail from one of our club’s giant RC planes. They came in to visit the Golden Eagles RC Club flying field… … and Rich “caught the RC bug” again. Starting in September, flying his Carbon Cub with Jon Wilson as his teacher, flying only on weekends, he has successfully made his solo flight today, November 18th, 2018. ← Dan Ricks has agreed to take on our Field Maintenance! 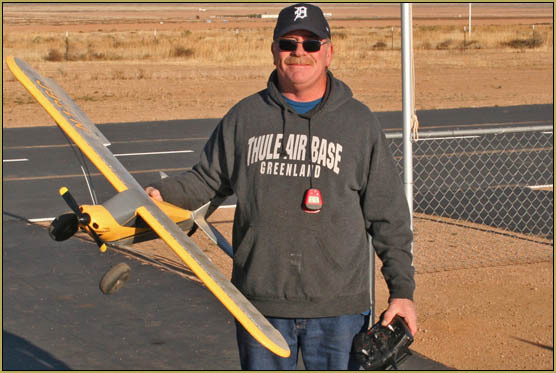 While focused on learning solo skills Rich also assisted new members and instructor pilots on the electronic setup. Now we have 2 carbon Cub mentors (Rich and Rick), AND, more knowledgeable instructors. It was a pleasure watching Rich fly with confidence.